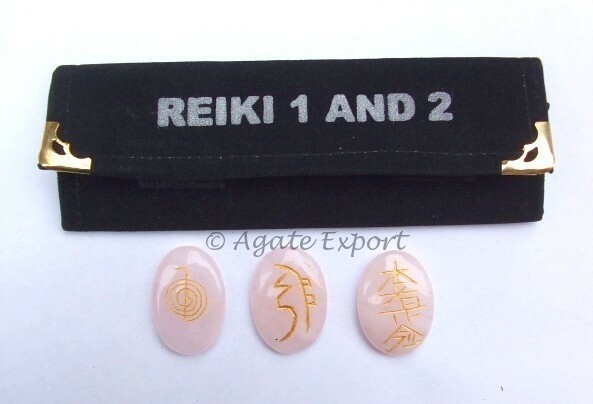 Rose Quartz Reiki 1 - 2 Oval Set from Agate Export is beautiful reiki set. A personâ€™s aura feels a pull towards a particular reiki set depending on the stone. He should choose that particular set only.